GRAY, SEAT TRIM, CARPETED FLOOR MATS, BRIGHT SILVER, Warning features -inc: parking brake on, key-operated chime, seatbelt reminder, low washer fluid, Vehicle stability management (VSM), Variable intermittent front windshield wipers w/jet washers, Trip computer -inc: distance to empty, average speed, drive time, ambient temp, average fuel economy, instant fuel economy, Towing/lashing hook, Tire Pressure Monitoring System, Time-delay interior dome lamp. 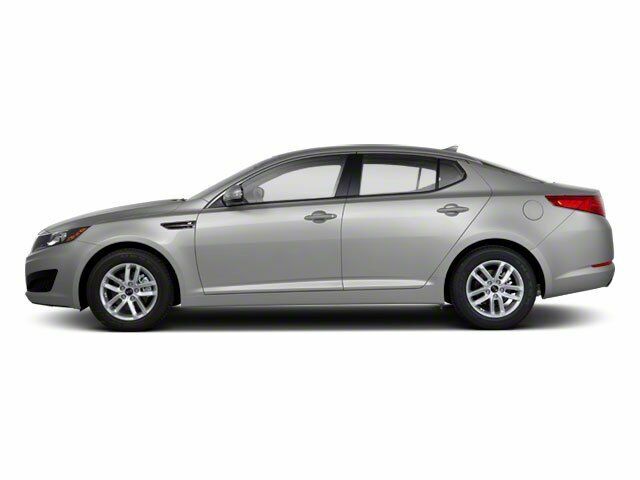 This Kia Optima has a strong Gas I4 2.4L/144 engine powering this Manual transmission. Tilt/telescopic 3-spoke steering wheel w/audio controls -inc: wheel-mounted Bluetooth controls w/voice activation button, illuminated ignition, Temporary spare tire w/steel wheel, Solar glass windshield w/sunband, Side-impact door beams, Satellite radio receiver, Remote keyless entry w/panic & alarm function, security indicator, Rear window defroster w/timer, Rear LED high-mounted stop lamp, Rear coat hook, Rear child safety door locks, Rear center armrest w/cupholder, Pwr windows -inc: driver one-touch auto down, Pwr vented front & solid rear disc brakes, Pwr door locks -inc: front central locking, driver two-turn unlock, drill-protected lock, Plastic door sill scuff plates, P205/60R16 tires, Overhead sunglass holder, ISOFIX child seat anchors, Insulated hood w/gas lifters, In-glass antenna.